This past week I was shopping at Target and you know I just had to stop by all of the yogurt. It’s always my first stop when I go to Target. Well on this shopping trip I had my Husband with me. He was standing behind me as I stared at the yogurt. Normally he says hurry up, just get the one you want and let’s go. Well on this trip something a little shocking happened. He said why don’t you get the Key Lime Pie Yogurt and make a smoothie with blueberries. What? I think I just about fell over. My Husband not a yogurt fan, actually suggested yogurt in a smoothie and to boot he actually suggested what fruit to add to it. What happened? Am I on candid camera? This is not my Husband at all!! So with that said, here is my Husbands smoothie recipe that he came up with all by himself. 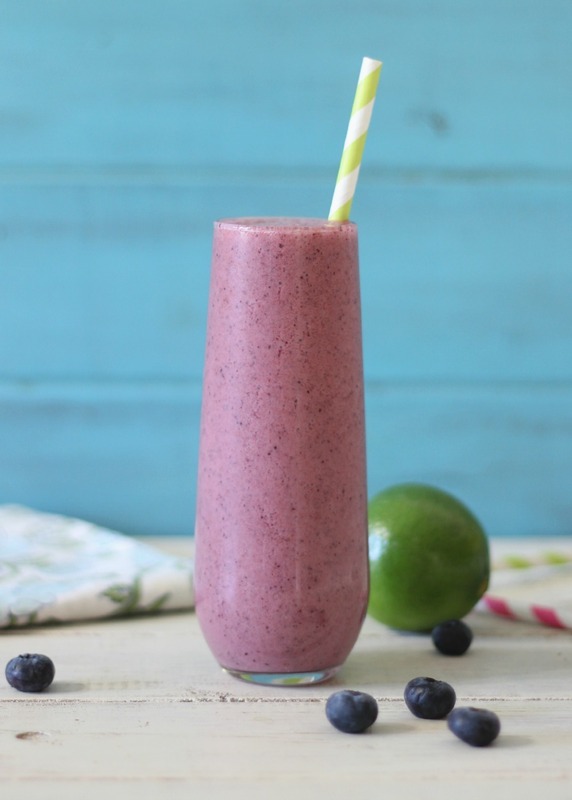 Let me introduce to you the Wally Blueberry Key Lime Pie Smoothie. The smoothie turned out beautiful! 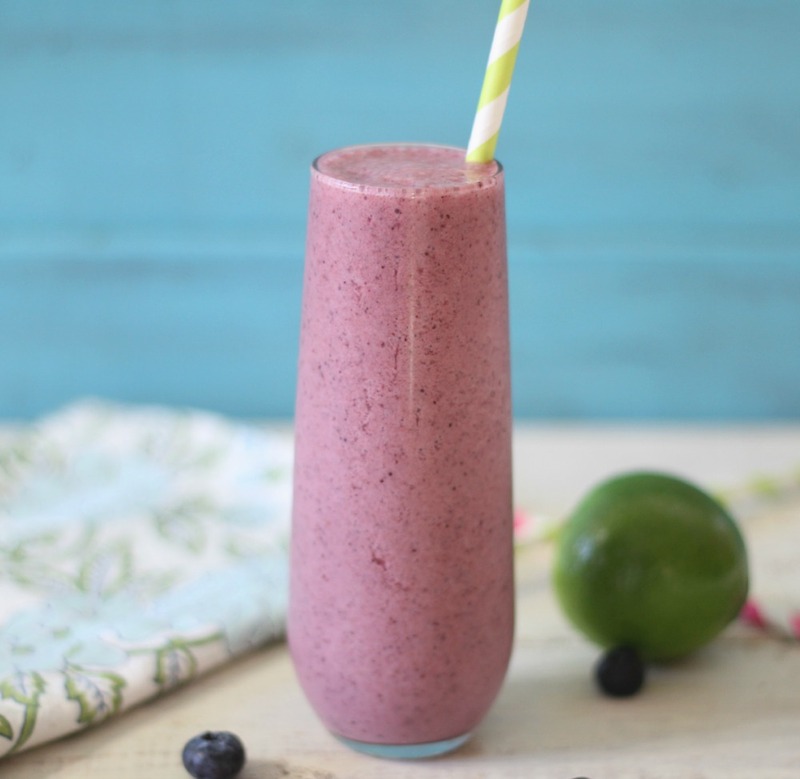 It’s creamy, smooth and has the perfect balance of key lime flavor and blueberries. You can taste each flavor on its own. I love that about this smoothie. The first sip is a subtle blueberry flavor and then your left with a sweet lime flavor. Hmmm, I would never of thought of blueberries and key lime together. My Husband did a good job on this smoothie. He just loved it and I really think you will too!! For the key lime pie flavor I used Yoplait Light, which only has 90 calories, frozen blueberries and unsweetened coconut milk from the carton. Blend away to a perfect smoothie. Crazy Husband, I can’t believe how good this smoothie is. It’s so light and refreshing. 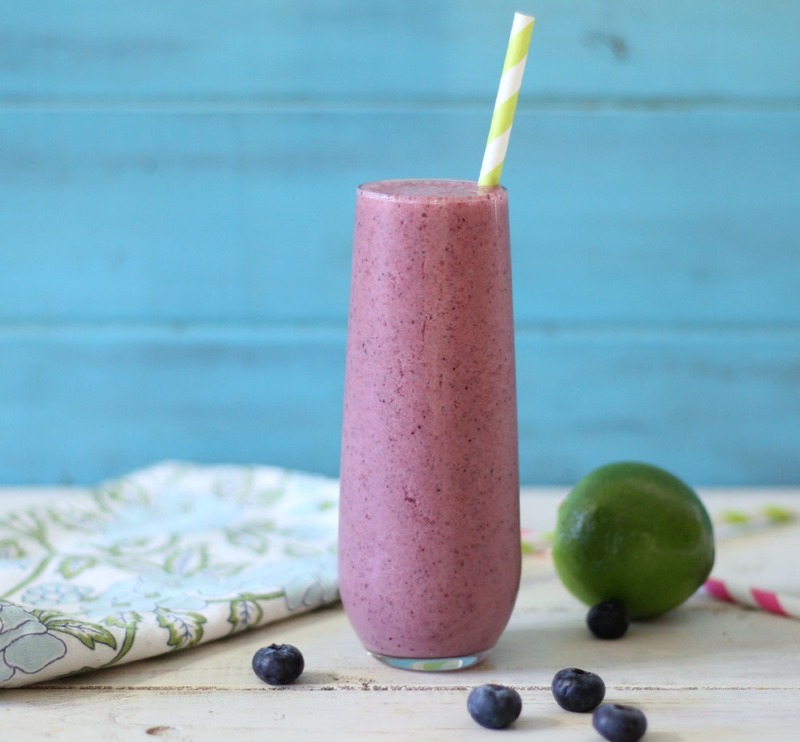 A light, refreshing, creamy cold drink that tastes like key lime pie with a hint of blueberries. Has you Significant other ever come up with recipes for you to make? Or better yet, actually make them? I know, it’s nice that he gets involved once in a while. You’ll turn that man into a foodie, yet! 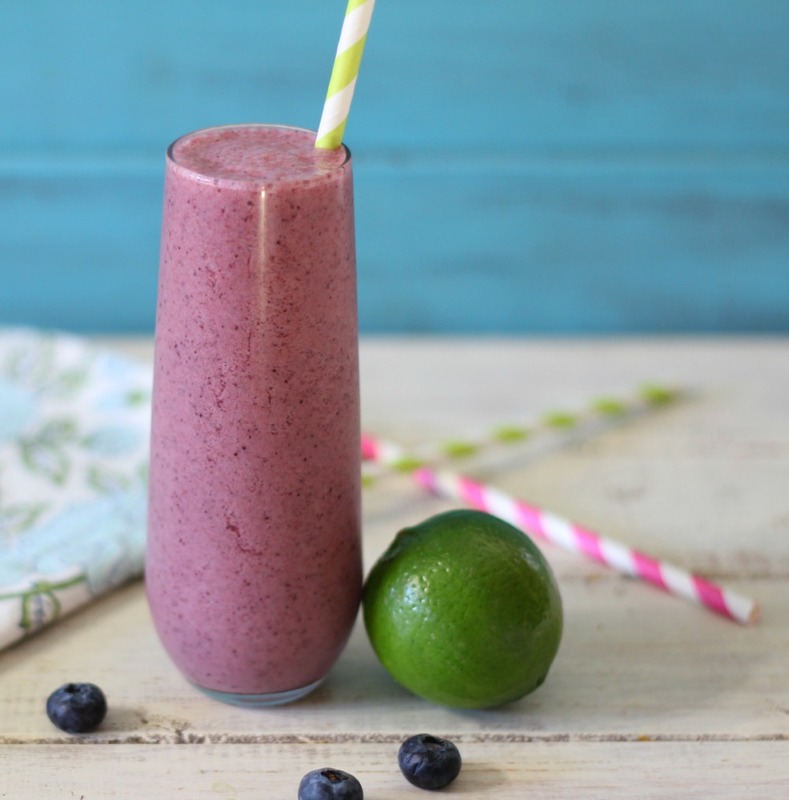 this smoothie looks fabulous! Ha ha! I’m working on it!! He did a good job on this one! Sounds delish! Nice that your husband is getting involved too!